In the 80 years since Robert Johnson made his last recordings in a Dallas warehouse on Park Avenue in the summer of 1937 (he died a year later, probably poisoned), fans and researchers have solved many of the mysteries surrounding the talented young African American itinerant musician who was--by all accounts--a legend in his time from the moment he released his first single "Terraplane Blues." 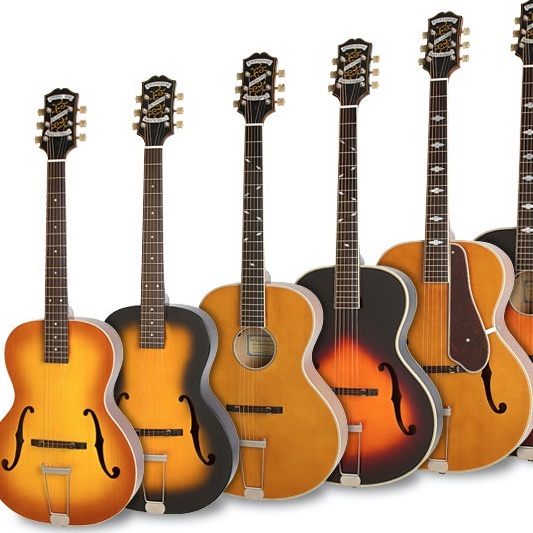 Audio experts are positive Johnson played a small archtop for those sessions in Dallas. (Perhaps he used an Epiphone Olympic). And thanks to his frequent traveling partner Johnny Shines, we also know that Johnson performed a wide assortment of songs by other artists including Jimmie Rodgers and even "Tumblin' Tumbleweeds" by the Sons of the Pioneers. Perhaps he didn't' make a deal with the devil at the crossroads of Highway 49 and Highway 61, but his musical gifts certainly would have been the envy of any angel, fallen or not. 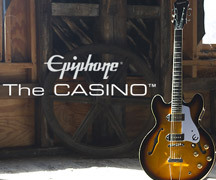 Epiphone.com discussed Johnson's life and career with Peter Guralnick, the acclaimed author of numerous collections profiling blues, country, rockabilly, and rhythm & blues artists, including Searching for Robert Johnson. Guralnick is also the author of definitive biographies of Elvis Presley (Last Train to Memphis and Careless Love), Sam Cooke (Dream Boogie) and his latest, Sam Phillips: The Man Who Invented Rock 'n' Roll. Guralnick also wrote Sam Cooke—The Legend for VH-1, which won a GRAMMY in 2004 for Best Long Form Music Video. How old were you when you first heard Robert Johnson? PG: I first heard Robert Johnson, I guess, when Sam Charters' The County Blues first came out on RBF Records. It had "Preachin' Blues" on it. I must have been around 16. I can remember vividly the day I discovered the album – no advance warning, no idea it was coming out – when I walked into Sam Goody's on 49th or 50th in NYC in the fall of '61. I was 17, a freshman at Columbia, and not only was King of the Delta Blues Singers in the blues bin but so was Big Joe Williams' Piney Woods Blues on Delmark (I think it still had the "k”). I bought them both and spent the rest of the day – the rest of the week! – listening to them over and over. What makes Robert stand out from his contemporaries like Son House, Tommy Johnson or even the great Charlie Patton? 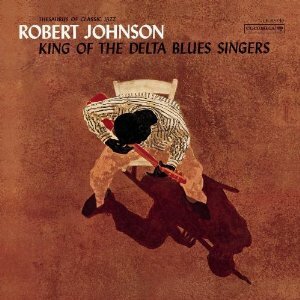 PG: To me, the most extraordinary thing about Robert Johnson is his compositional approach. Music, lyrics, vocals are all of a piece – neither incidental nor coincidental. I think that's why his music continues to have such a cross-everything appeal. In past biographies, Robert's traveling companions have stated Robert listened to a wide range of music from Jimmie Rodgers to Sons of the Pioneers. PG: That's what Johnny Shines said. "Tumblin' Tumbleweeds," right? Bing Crosby, too. Knowing Johnny (and Robert Jr. Lockwood, too), I can believe it! There was no such thing as confinement by category. Plus they were all making a living with their music. Polka, anyone? Producer Don Law commented that Robert was shy in the studio and suspicious of musicians stealing his style. Was he aware he was breaking ground? PG: I think the shyness has been overemphasized – and I think he was aware of breaking new ground. Once he found his own style, he picked up followers everywhere he went. There was never any question of who was the leader, and when he died, long before the greater world had ever heard of him, long before he was ever discovered by a white audience, they carried his music on.